The 19th annual independent meeting will be co-sponsored by Trinity College, Epoché, and the Ancient Philosophy Society. Sessions to be held at The Goodwin Hotel, downtown Hartford. More information about the conference, including the full program and additional travel information will be available at the Ancient Philosophy Society webpage. Pre-Registration is closed: Registration after Thursday, April 18 must be done onsite. 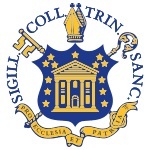 Banquet: On Saturday evening, April 27, a banquet will be held at Trinity College. All participants and guests are invited to attend. Tickets must be purchased in advance. Hotel: To register at the conference rate of $169/night, please contact the conference hotel, The Goodwin Hotel, by email ([email protected]) or by phone (1-860-937-5509) and mention that your are part of the Trinity Conference Group. Cancellation Policy:	No registration fees will be refunded for cancellations after April 18, 2019. **Membership includes a print subscription to Epoche: A Journal for the History of Philosophy, volume 24. Online access to all issues (volume 1-current) is available as an option. Membership term is May 2019-April 2020.